From the profusion of negotiation theories, traditions, strategies and folklore Common Ground Seminars harvested negotiating techniques that succeed in today's competitive environment. We've packed them into an exciting, no-nonsense program taught by experts who use customized, hands-on case studies that offer a real-world educational experience for attendees. This practical and challenging training produces immediate, measurable improvement in their negotiating skills. 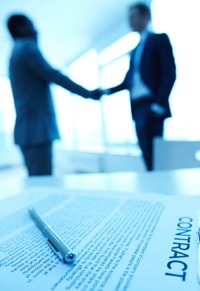 The vast majority of our Negotiate to WIN sessions are client-sponsored, in-house programs. We offer comprehensive, programs for specific industries, regions, nations and cultures. 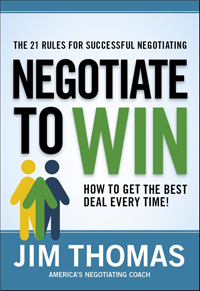 Over the years we've adapted Negotiate to WIN® to meet a host of special (sometimes unique) client requirements. The most-requested of these adaptations have become permanent additions to our family of programs. The Negotiation Workshop That's Helped Tens of Thousands Attain New Levels of Professional Success. Get a jump on your competitors. Sharpen your negotiation skills, and give your business the edge it needs to profit. Our negotiation training programs are presented as in-house, client-sponsored programs that are custom-designed from one of our existing courses. 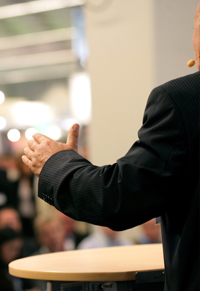 Common Ground Seminars, Inc. is a consortium of organizations and individuals with an expertise in the fields of negotiation and conflict resolution. We focus on one goal: giving our clients the skills they need to make rewarding and profitable agreements with their customers, employees, vendors, partners, unions, regulators, colleagues, and countless others.